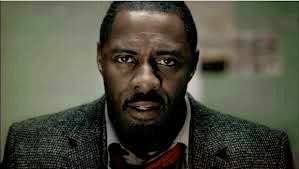 Idris Elba stars alongside Taraji P. Henson in the Sam Miller-directed “No Good Deed,” for which the trailer was released Thursday. Henson plays a former district attorney whose home and children are threatened when Elba’s character talks his way into her house under the guise of having a broken-down car. Elba’s profile has continued to rise in Hollywood, especially since starring in “Mandela: Long Walk to Freedom.” He was featured in “Thor: The Dark World” and will voice Shere Khan in Disney’s “The Jungle Book” reboot. “No Good Deed” is set to bow Sept. 12. It was 2007 and Alicia Keys was singing “Diary” at the Hollywood Bowl when inspiration struck writer-director Gina Prince-Bythewood (Love and Basketball) for her new movie Beyond the Lights, the tale of a perfectly packaged pop star, played by Belle‘s Gugu Mbatha-Raw, who’s been groomed for stardom from a young age by her overbearing, opportunistic mother (Minnie Driver). Once Sony put the project into turnaround, Prince-Bythewood produced her own eight-minute presentation of Mbatha-Raw as her lead and found her financiers in BET and Relativity Media. Prince-Bythewood chose Nate Parker (Non-Stop, Red Tails) for that role, and the cast and crew convened in Los Angeles and London last September to shoot. Beyond the Lights will debut on Nov. 14.